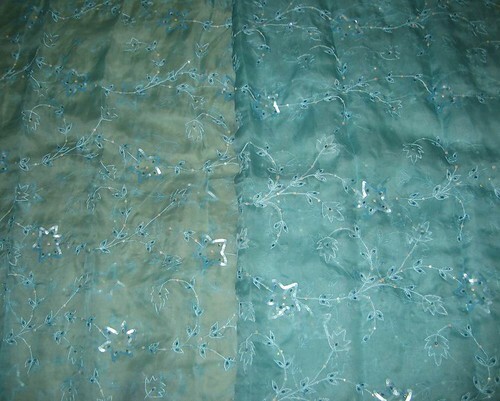 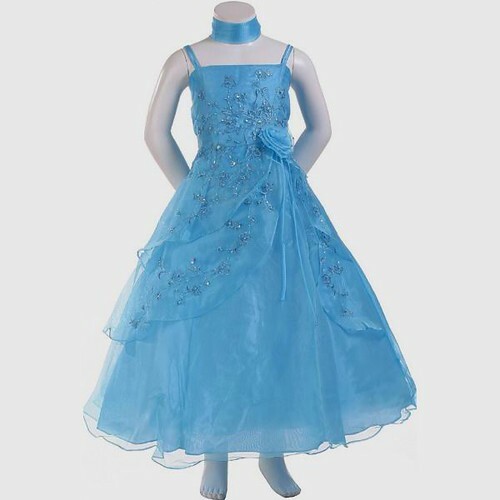 100 % silk organza fabric 44" width with beadwork.Sky Blue Colour~minimum order 1 yards @ usd $38 a yard plus shipping looks better that picture.direct sale from manufacturer.Silk Organza is a sheer, thin open weave fabric that is heavier and crisper than silk gauze. 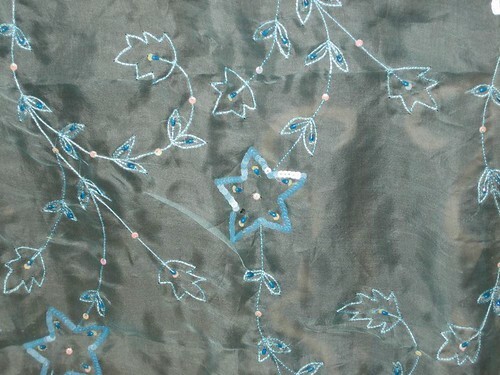 It has a smooth, flat finish, is strong and durable, and gets its stiffness from tightly twisted yarns. 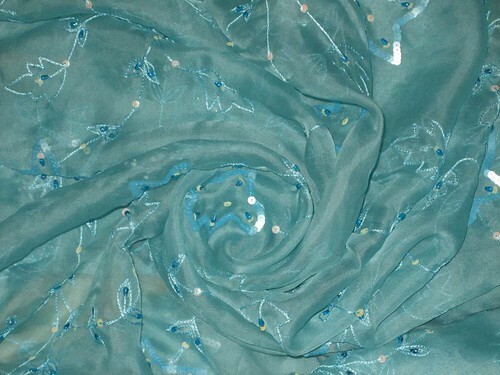 Often used as the base fabrics for embellished fabrics.Silk organza is very lightweight and sheer, but a bit stiff, and can be gathered for bouffant uses, used alone or over other fabrics for fitted to loosely fitted blouses, dresses and evening wear. 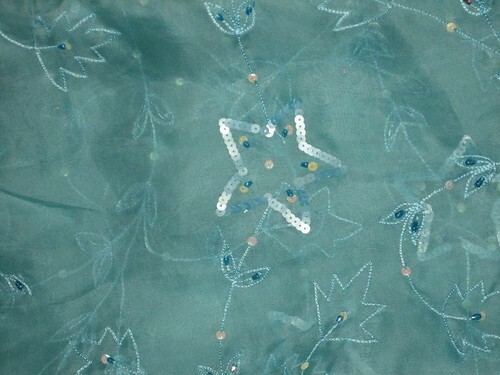 Also useful for facings, interfacings or lining. 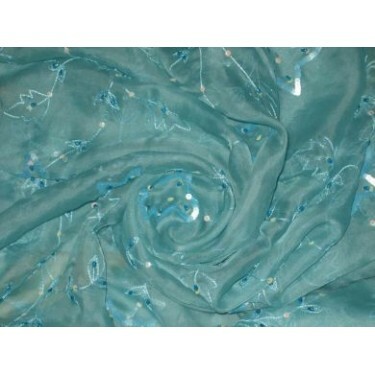 Silk organza can be used as an underlining to add crispness to parts of a garment. 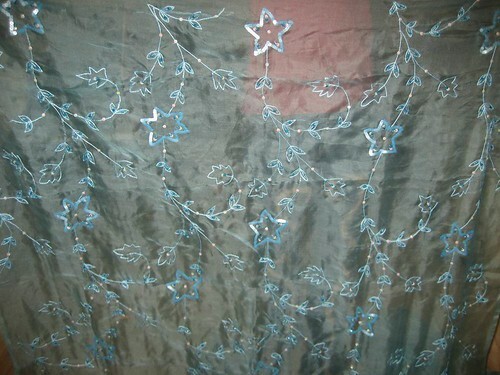 Sews easily, doesn't show pin holes.